Our Classic GE71 heat pump is designed for quietness, energy saving and elegance. 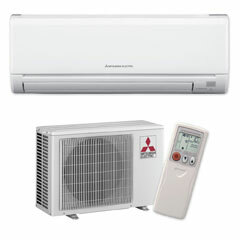 Its high capacity makes it the perfect heat pump if you are looking to heat a large room or if you live in a frosty area and need a bit more power. Starting from barely a whisper, our Classic GE71 allows you to feel the warmth, not hear it. The GE range starts from a hushed 19dBA and contains New Zealand’s quietest heat pumps ever. With cutting-edge inverter technology and the development of a high performance heat exchanger, the entire GE Series has earned the Energy Star® mark. Our i-save and Econo Cool modes are included on all GE models. i-save mode allows you to save temperature and fan speed combinations, returning to these at the touch of a button and Econo Cool provides maximum energy energy efficiency in cooling mode.